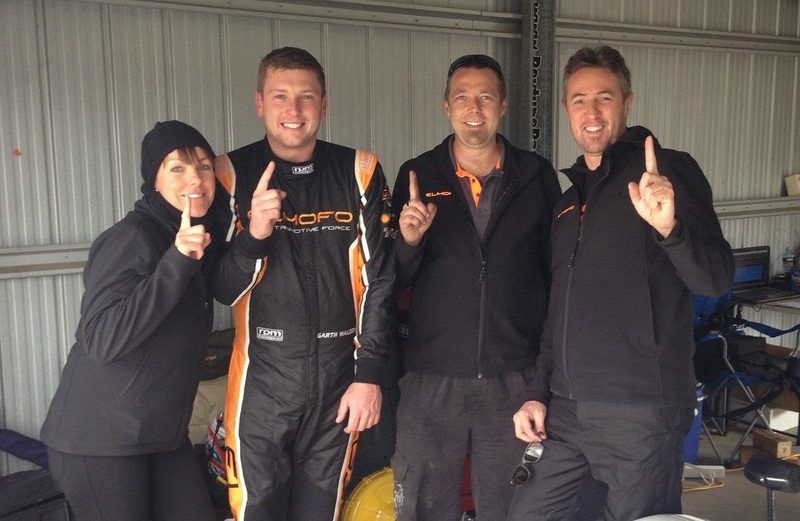 With less than 4 weeks to go until the inaugural FIA Formula E race in Beijing China, an electric race car in Australia has already made history. 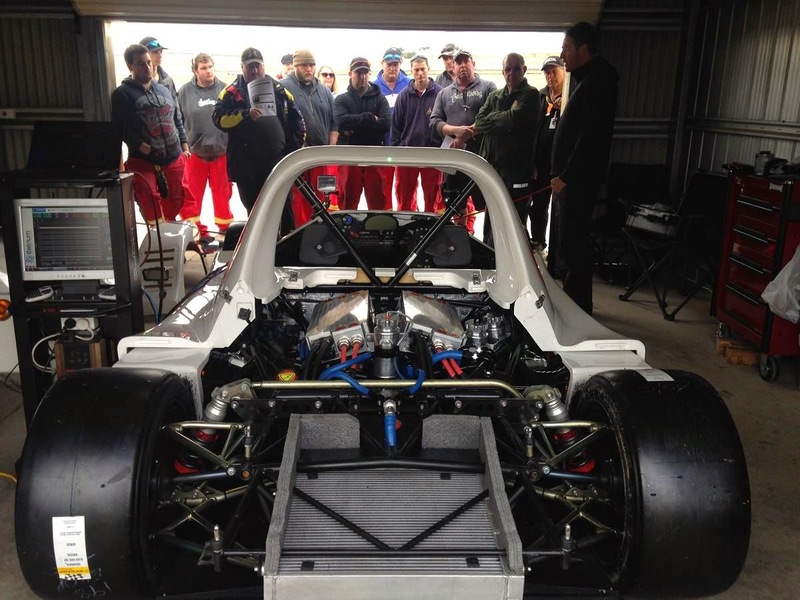 In what is believed to be a world first, a battery powered Radical SR8 entered by ELMOFO in the NSW SuperSports State Championship has become the first electric car to win a race against petrol vehicles in a sanctioned race event. To prove it was no fluke, it won twice! 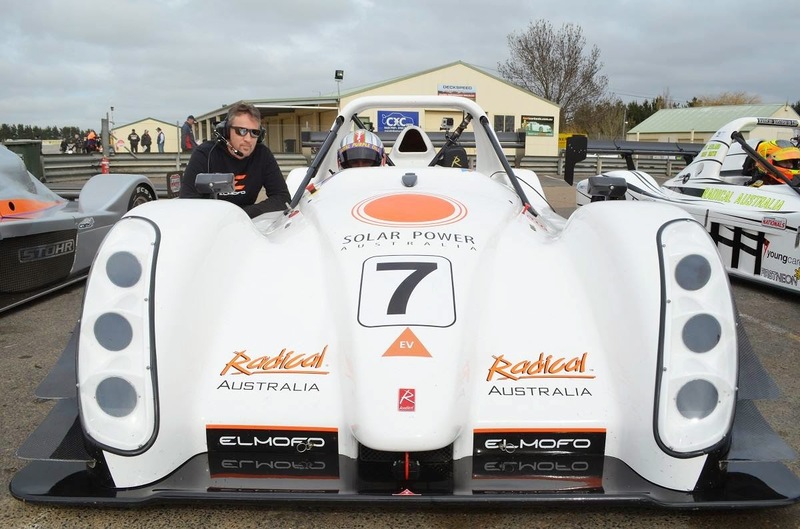 Not only did the EV win two of the three races comprising round four of the championship, held 17th August at Wakefield Park Raceway, the ELMOFO Radical, driven by Garth Walden, also set the fastest lap time for the entire meeting (57.6870 sec) beating all other categories which included Formula 3 and Sports Sedans. The ELMOFO Radical is similar in concept to the current Nürburgring EV lap record, the TMG EV P001 built by Toyota Motorsport GmbH and the TMG EV P002 modified by TOYOTA Racing Development U.S.A. to tackle Pikes Peak in 2013. The race winning electric Radical SREV was built by Newcastle based Solar PV systems firm Solar Power Australia. The car delivers 280 kw (375 hp) and 570 Nm (428 ft-lbs) of torque almost instantly from its twin sequential BLDC motors. 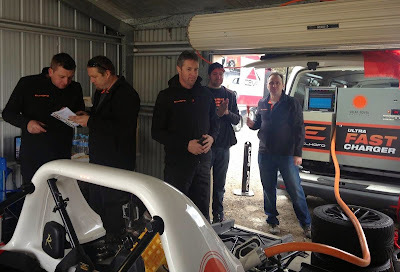 Power is controlled by dual Rinehart Motion Systems inverters which are fed voltage from a 37 kWh lithium ion battery pack controlled by a Batrium BMS. Power is transmitted to the rear wheels via a single speed limited slip differential. 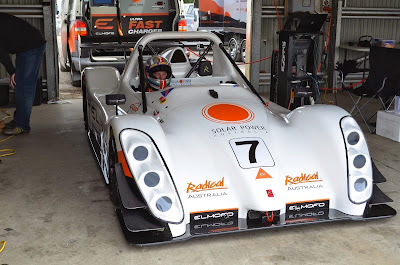 Performance specs for the all-electric racer, built on a Radical SR8 chassis, include 0 to 100 km/h (62 mph) in 3.5 seconds, 0 to 160 km/h (100 mph) in 6.5 seconds with a top speed of 265 km/h (165 mph). 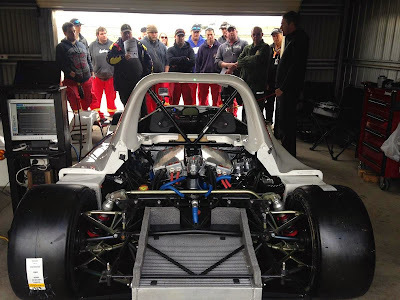 The 2014 CAMS NSW SuperSports Championship is mostly a one-make series for Radicals, with a couple of Stohr WF1 single seaters also contesting the series. 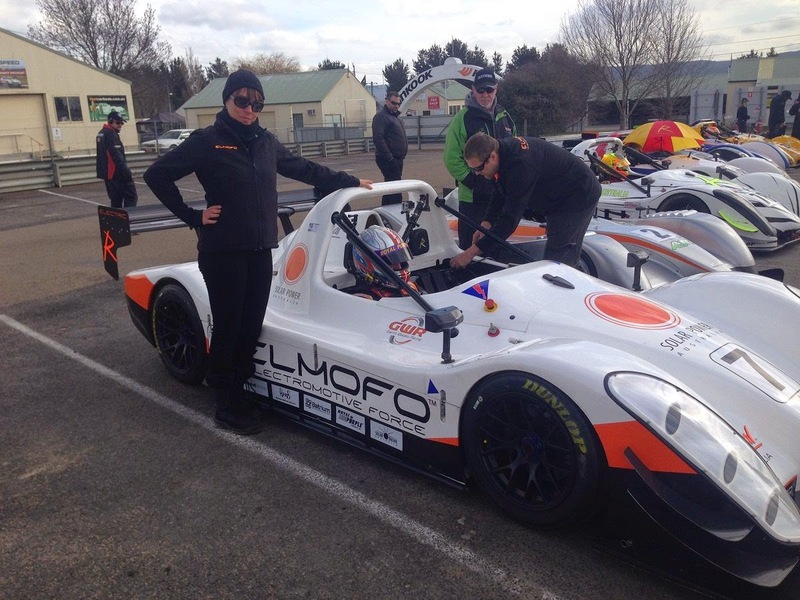 The ELFOMO team have worked hard over the previous three rounds to debug the car and the wins are a just reward for achieving solid reliability. Since the beginning of the season the car has demonstrated it had raw speed by routinely qualifying on the front row of the grid. In only round 4 of the championship the battery powered racer dominated from the front with Walden blasting well ahead of the pack for the first 4 or 5 laps and then backing off a little to preserve the car. 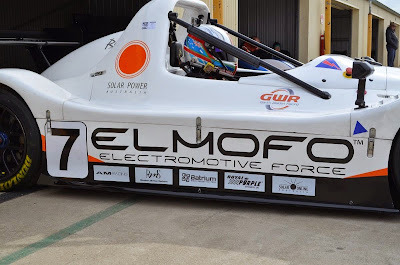 The ELMOFO team would like to thank Rinehart Motion Systems, AM Racing, Batrium, Garth Walden Racing, Royal Purple and the Supersports Racecar Club Committee who have been very supportive of the car, scheduling some races of a length that the battery powered vehicle could complete to ensure it’s inclusion in the series.